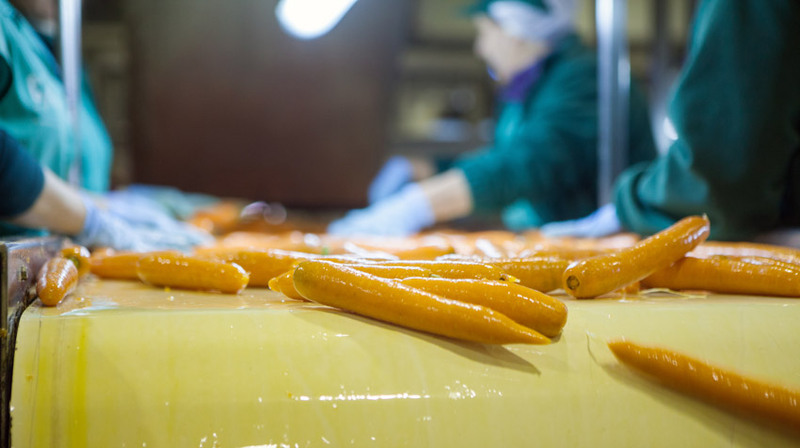 The texture and structure of the marsh soil, the climate and the strategic location of our company have made us a leading producer of premium carrots in terms of both quantity and quality. This vegetable is planted in late September or early October, and harvested between late December and early January. The harvest lasts about four months, from mid-March to late June. During this period, our technicians, who provide guidance to the growers to obtain excellent raw material, carefully monitor the plants. Once harvested, the carrots are taken to our Horticultural Plant where they are thoroughly washed and graded. Las Marismas de Lebrija SCA provides customised packaging solutions –from Big Bags to small bags- for this product.